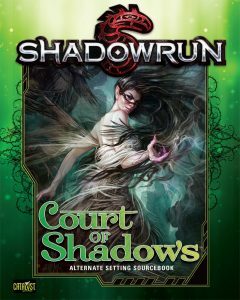 Today, I am pleased to announce that Court of Shadows, a brand new setting for Shadowrun 5th Edition, is now available in PDF. The print edition will be out in August, and there’s a possibility Catalyst Game Labs will have this supplement for the show. 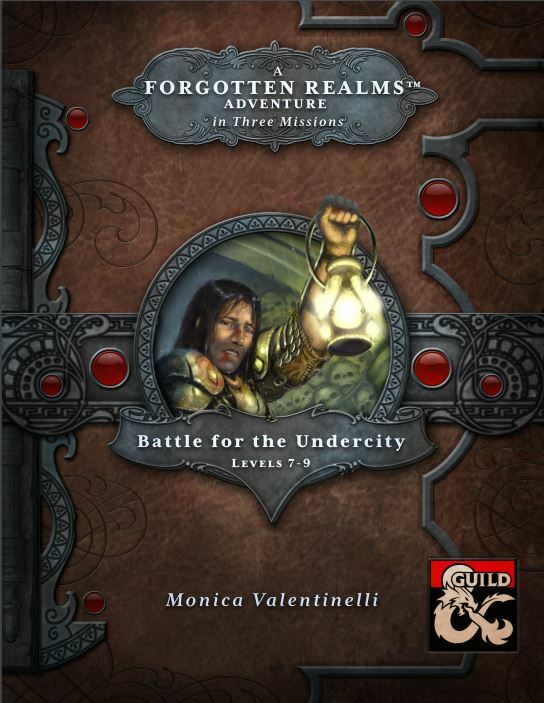 I co-designed the setting with Jason Hardy for this supplement, and contributed a huge chunk of the writing, too. I hope you enjoy this new and mysterious look into the realm of the fae! I just realized that my last progress report was from December of last year. Whoops! Rectifying this today, so I can keep you apprised of any new announcements coming up. In Project #9, I talked a lot about the importance of doing research when writing historical era research, and how if you are writing about the past it’s quite possible you’re going to get things wrong. As an addendum to that, I think it’s important to remember that even though writers are very, very smart, because we know how to research and look things up and talk to people, that doesn’t necessarily mean our intentions or our work will be interpreted the same by every reader in a cultural, intellectual, or emotional fashion. This is pretty exciting, in my mind, because it means we can have conversations we couldn’t before and learn from them–provided we’re able and willing to listen. Sometimes, however, that’s a bit of a challenge as there might be constraints as to what the next steps might be, or parameters (especially on bigger named properties like Star Wars or what have you) that writers are bound by. Regardless, I see this as an opportunity rather than a challenge, and though I cannot be perfect (nor do I want to be), I feel this spells nothing but good news for the relationship between writers and readers. I should also point out that a lot of work listed below is past tense; I’m always open to discussing new opportunities. Thanks! On to my tips for writing like the wind! A couple of weeks ago, I wrote 10,500 words in one day, and I “think” my fastest slog was 25,000 in two days back in college. I have written 12 or 13,000 in a day, too, but I’d much rather write 3 to 5k at a steady speed than lose my humanity, hurt my writers, and/or fall into the black hole that is my brain. However, there are some reasons to write fast like…procrastination, zombie projects (e.g. manuscripts you thought died but came back to life and need to be shot in the head. again. ), shifting deadlines, life crap (being sick), etc. Retention-wise, when I write fast I average between 90-95%, and ironically I retain more when I’m sprinting than when I’m not. A couple things to remember, though: I started writing when I was very young and focused on literary fiction through college, so I’m not new to this writing thing. Do I get neurotic or forget to exercise my story brain muscles if I’m too focused on one thing or the other? Ab-so-frigging-lutely. Writing is not a static thing for me, and it never has been. However, I feel that my experiences are important to mention, because sometimes I find folks put a lot of pressure on themselves to soak up all the writing advice they can to poop out great stories and write fast or write perfect when in all actuality? The only solution to figuring out what works and what doesn’t is to keep writing. It’s really the only way to internalize processes that are external to start–and yes, those processes can be forgotten or buried depending upon what your focus is. Something along the lines of… If you want to write novels, then write novels. Don’t write short stories or games and expect to know how to write a novel. Or, more to the point, my favorite acronym ever (K.I.S.S.) is sometimes the best way to proceed. If a thing doesn’t have to be complicated, why make it so? Anyhoo… In order to write fast, I feel it’s important to take into account what you/I know about your/myself as a writer. I think that some of the self-analytical bits are hugely important, because if you don’t know what your process is or how fast you write in different areas, then it’s really hard to plan word count as a metric. I should point out that I do map a lot of my goals to word count for Day JobTM sorts of things, but haven’t done that for the spec stuff in a while, even though I’m starting to do that now. If I have to worldbuild during or after a project, I write slower. I hate wasting time on a draft, only to throw it away. I worry that my bad habit of using filler words (e.g. that) in a draft will make the story uninteresting. Research is my kryptonite, because I love to do it. Writing cold is the hardest thing for me to do. I know that I can write, consistently, somewhere between 3k to 5K per day if I’m writing full-time. Writing a variety of characters/scenes/etc. is slower going than a chapter on “a” topic. Writing a chapter on a single topic bores me to tears. I need to hear the character’s voice in my head before I write them. I write fastest/best when uninterrupted for short periods of time. Elevator pitch – If I don’t know what the story is about, then that is wasted effort. Yes, sometimes I need to write to find the character’s voice, but that’s a different and intentional exercise to solve a separate problem. Even if I don’t have an outline, at bare minimum an elevator pitch or short synopsis will keep the story contained. Word sprints – For this, all I need is a timer and an hour of uninterruptions. Then, I write as fast as I can for that hour, after my prep work is done. I’ve written (at most) 1,300 words this way. Milestones – I use milestone planning when working on larger projects, to set smaller goals. This really helps because if a deadline shifts, I can use word sprints after doing massive amounts of planning (e.g. research, character/dialog sketches/word lists) to get the project done. Write to the beginning – This tip came from John Hornor Jacobs, but it’s a really good one. Instead of writing to the end of a scene, write the first couple of sentences in the next section to mentally prepare yourself for a head start. Revision checklists and filler words – I plan to be wrong or to have errors in my work, and this reduces my anxiety about writing drafts as well. I know I use filler words, so sometimes I have word lists, character names/place names, etc. Sometimes I’ll put words in brackets or use a highlighter; I almost ALWAYS read my work out loud and change the font/spacing, to give me a different perspective on my work. For me the key to writing fast is to do prep work both before and after, knowing that the in between bit (the actual writing) is the middle of my process–and not the end. Freaking out about the end is what significantly kills my ability to write, so I remove that anxiety by shifting the work and emotional weight to a multi-step process. This both occupies my mind and helps me the more I write a specific kind of project; this is partly why doing anything “new” can freak me out more, so I tend to overcompensate by planning more up front work. Often, I have to remind myself that I cannot revise a blank page, and I cannot sell the story that hasn’t been written yet. Sometimes, to push through that, writing fast is the only way to get over that anxiety, because then I have a draft to edit and revise–which is more than I had to begin with. Hope this helps you find your own process. On to the updates! I’ve got some new updates for you on the games front. Huzzah! World of Darkness: Dark Eras – Wrote the Hunter: the Vigil supplement for this book for 1690s Colonial America. This is now available for fans to purchase. Vampire: The Masquerade: Ghouls & Revenants – Contributed and edited this book. This is now available for fans to purchase. Robert E. Howard’s Conan RPG – This hasn’t been released yet, but my understanding is that it will be shortly. Codex Infernus – The Kickstarter was successful, and it’s now available for fans to purchase. World of Darkness: Dark Eras II – Contributed to the Geist: the Sin-Eaters supplement for the 1580s-90s Roanoke Colony. This hasn’t been released yet, but it will likely be available this Fall. Hunter: The Vigil 2nd Edition – I’m the developer for this, and I’m working on the outline and putting together my team of writers. The submission guidelines are available here. 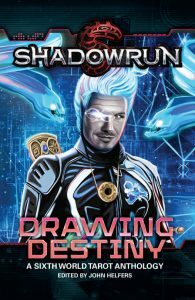 Court of Shadows – I designed a new setting for Shadowrun with Jason Hardy, and contributed several thousand words to this unique supplement. The book will be out this Fall. Upside Down: Inverted Tropes in Storytelling – We raised ~24,000 on the Kickstarter and had close to 1,400 backers. We were able to bump the pay rate for our storytellers and add two essayists. The collection is in proofing right now, and I’m working with Jason on delivery and timing. Pratchett on Acid – 25K into the new novel, and it is…creative? Inventive? Heh, heh. Though, I’m going to flip this into a novella, because I think the story will be stronger in that format. I’m having TOO MUCH FUN with worldbuilding. Vampire: The Masquerade Dark Ages Anthology – I’m editing a collection of stories for this setting, and we are now in second draft stage. TBA times three – Wrote three media/tie-in short stories for [redacted], [redacted], and [redacted]. Two of those collections will be debuting this Fall. Sparkle Mega – Full pitch is still in the works for a short-term series. The pitch window hasn’t re-opened yet, so this got put on hold. Found out the publisher doesn’t pay, though so am confirming this before moving forward. Worldbuilding Book – Pitches are being sent out. Yay! 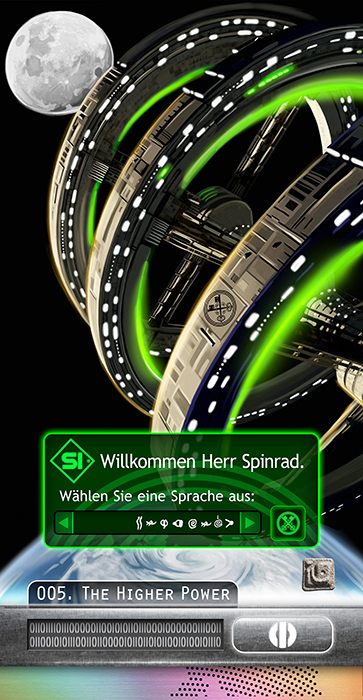 The Gorramn Shiniest Dictionary in the ‘Verse – This language guide for the Firefly TV show is now available AND it has an entire section for the Chinese (Cantonese and Mandarin) AND an interview with the fabulously talented Jenny Lynn!. The Build-a-World event pits two teams of writers against one another, and I do have some small prizes for them already. However, I was also hoping to give the winning team the option of selecting a charity of their choice, and their “winnings”, which would be donated by a publisher, would go to that organization. If you’re interested, please let me know. In past years, the amount was small ($50). It may not seem like much, but participants and audience members really do enjoy that little bit extra to make the world a better place. I haven’t gotten multiple publishers interested before, in part because I didn’t do the leg work of asking, but if we do the process is the same. However, I will do something a little different and splashier if we get multiple folks; there’s room to add some cool bits to share surprises and whatnot. You can either reach me via my contact page or through monica AT mlvwrites DOT com.